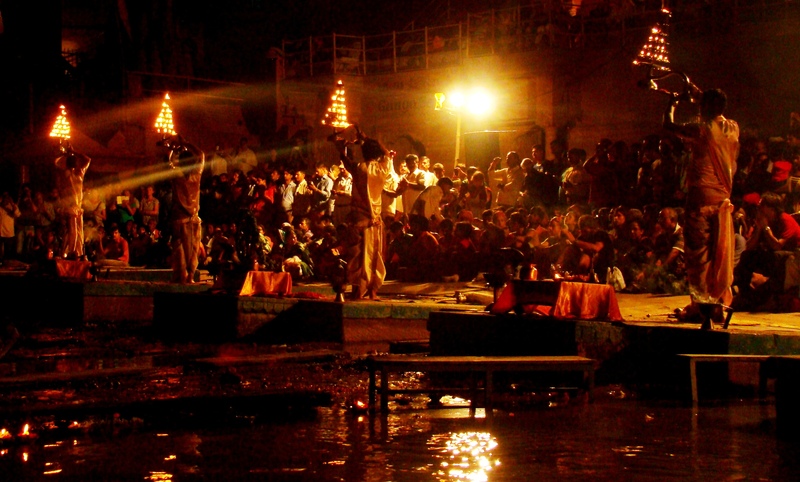 Probably one of the most ancient city in the history of Hinduism- BENARAS has still retained its charm. A city with history hidden in each of its by lanes this place has seen it all, be it the migration or settlement of Aryans here. 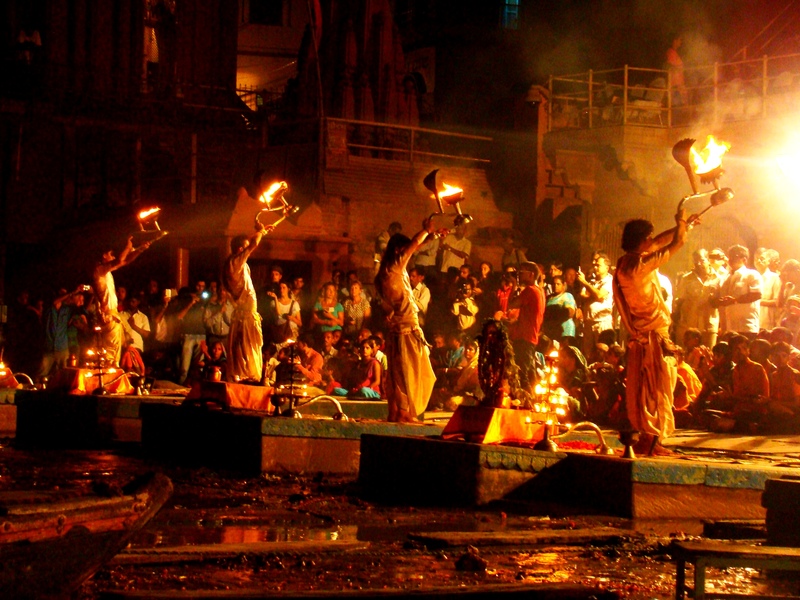 Varanasi, the holiest city in the world, is flanked by thousands of tourists every day who come to see this magnificent city and its Ganga Aarti that happens on the ghats every evening. 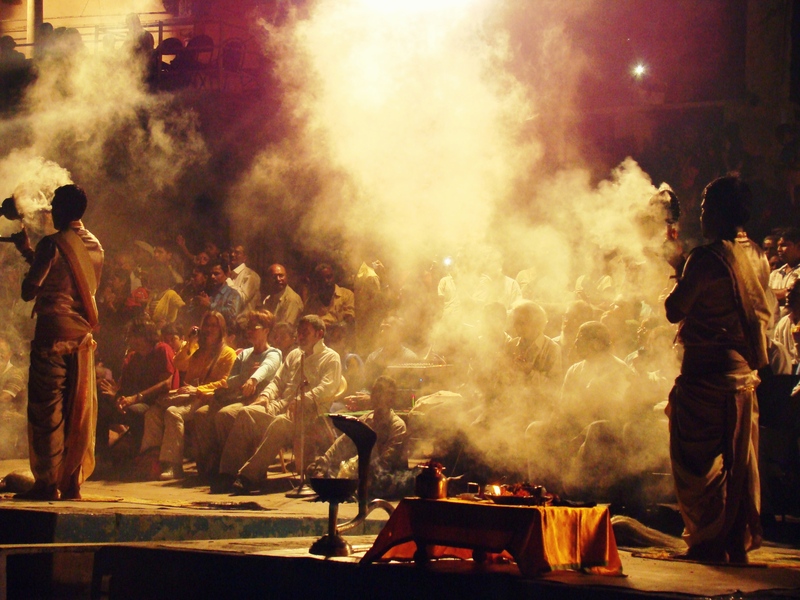 The aarti is performed by a group of priests at the Dashashwamedh Ghat. 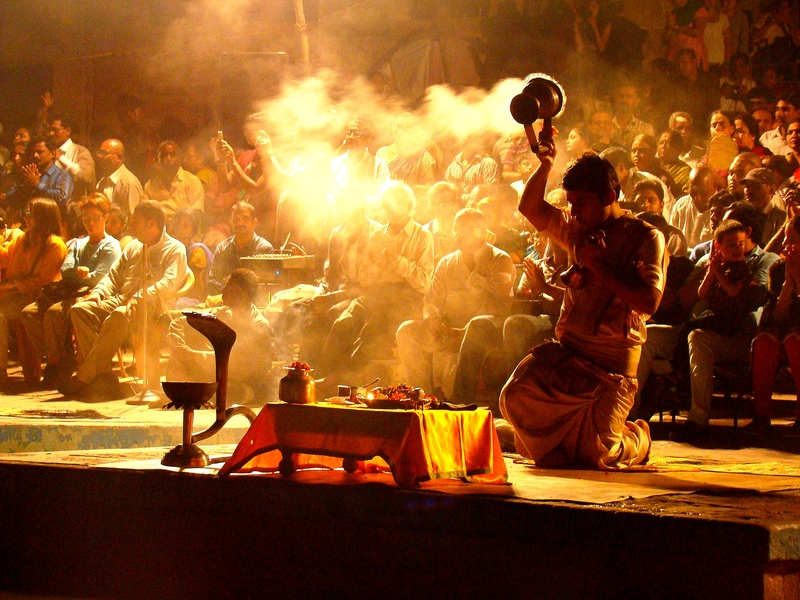 The ritual starts with the priests offering prayers to the whole universe- the Lord Shiva, Ma Ganga, Surya (Sun), Agni (Fire) as well as to all the deities in Hindu Mythology. All the priest line up in saffron robes: the dhoti and kurta which is tightly bind with a long towel. From beginning to the start the whole experience is simply breath taking. 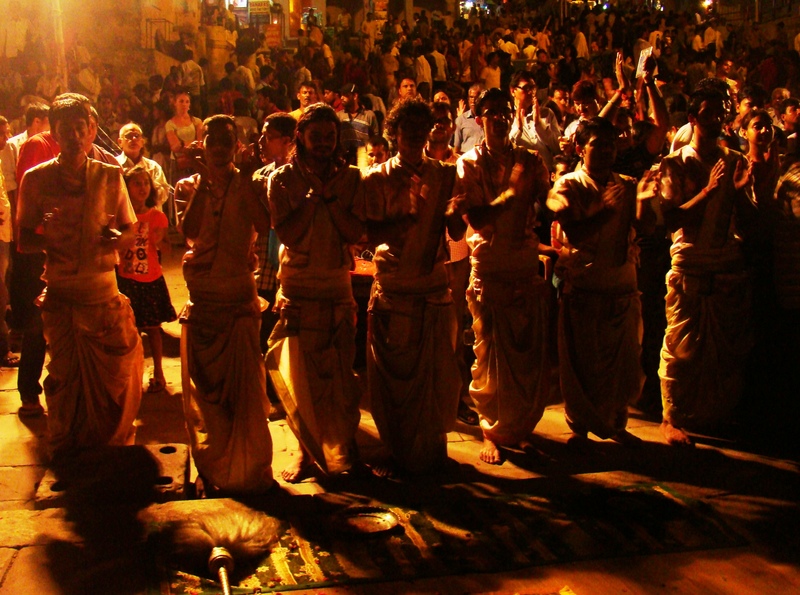 The highly choreographed aarti makes it a soulful experience. 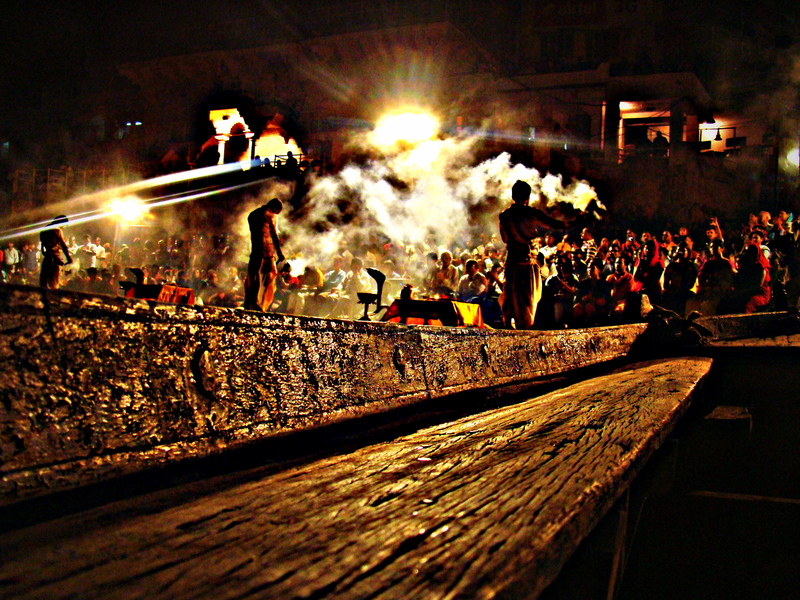 The preparation of the Gange aarti starts as all the priests gathering on the elevated planks along the ghat, each one holding a multi tiered oil lamp, an idol of the Goddess Ganga placed in front of them, some flowers, incense sticks, a conch shell. 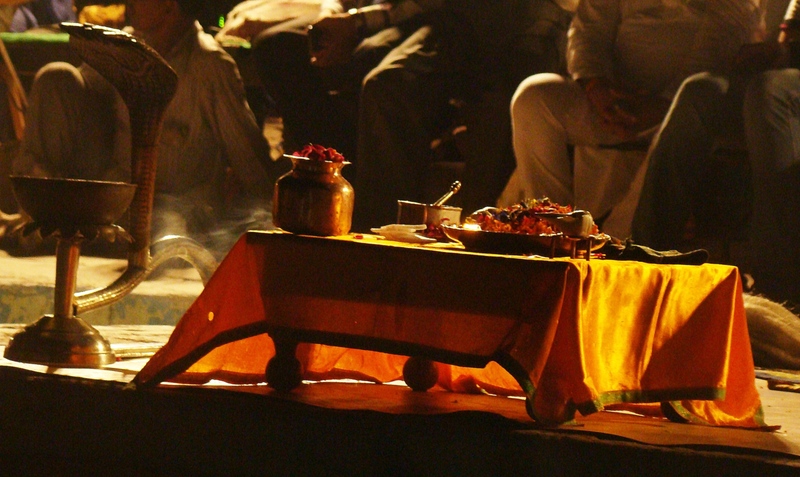 A big and heavy brass lamp with a snake hood is placed at the edge of the River Ganga. This beautiful ritual starts at 7 pm everyday after the sunset and it fills the whole air with a different energy and spirituality. As the priests chant the mantras and one can see the huge crowd gathered there totally seeing them perform in awe. This ritual is performed by the students of the Vedas and Upanishads which is lead by the head priest of the Gangotri Seva Samiti. On-lookers, tourists, devotees start coming well in advance so that they can be properly seated, and can get a proper view of the whole ritual. Some more adventurous one don’t mind seeing it from the boats parked on the banks of Ganges. The whole ritual takes around 45 minutes and as the aarti comes to an end one can hear the sound of the conch and devotees take to clapping together all in good faith. The smell of firing camphor and incense sticks fills the air as one wait for another day another bright morning … As Benaras comes to life. I totally blame it on Benaras for giving me this picturesque experience and as I quietly pass the ghats I silently question my own basic existence of human interaction with its society. Wonderful post with breathtaking pictures. Thanks for sharing. 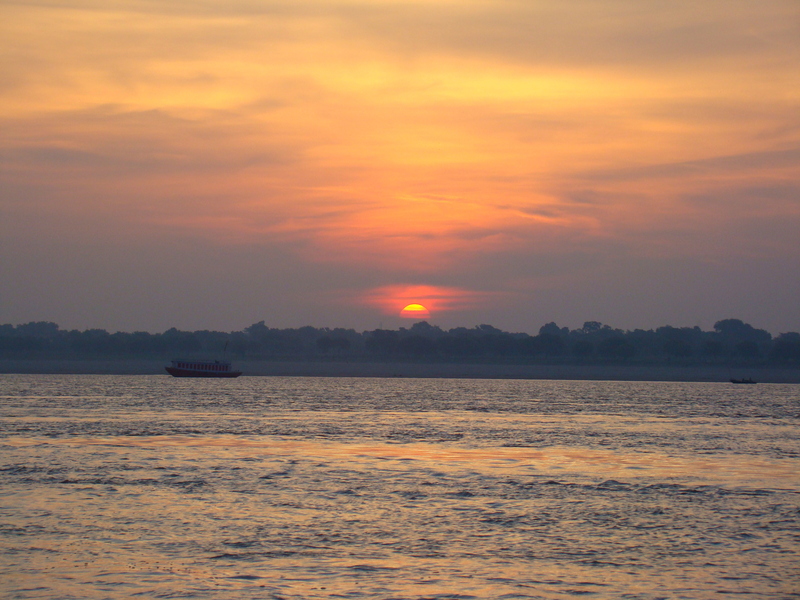 Hey Buddy!, I found this information for you: "Postcards from Benaras". 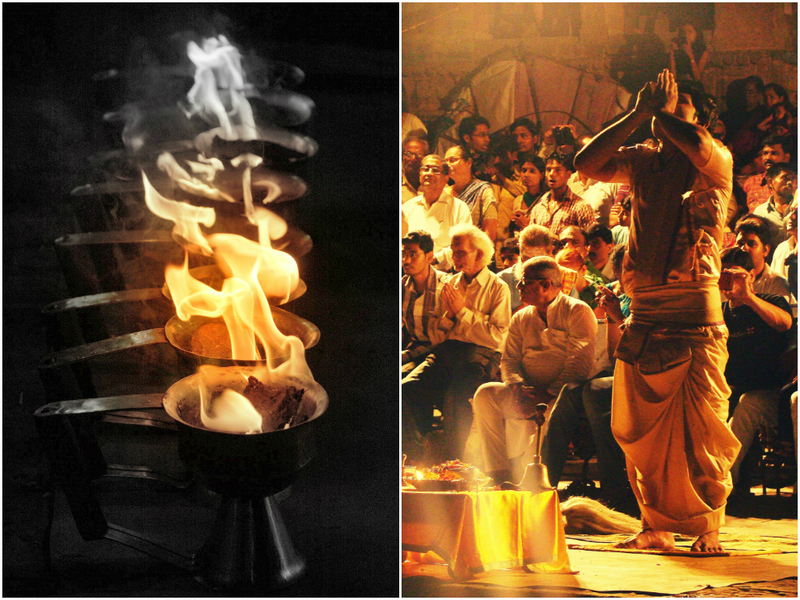 Here is the website link: http://www.wanderlustcraving.com/2014/09/14/ganga-aarti-in-benaras/. Thank you.